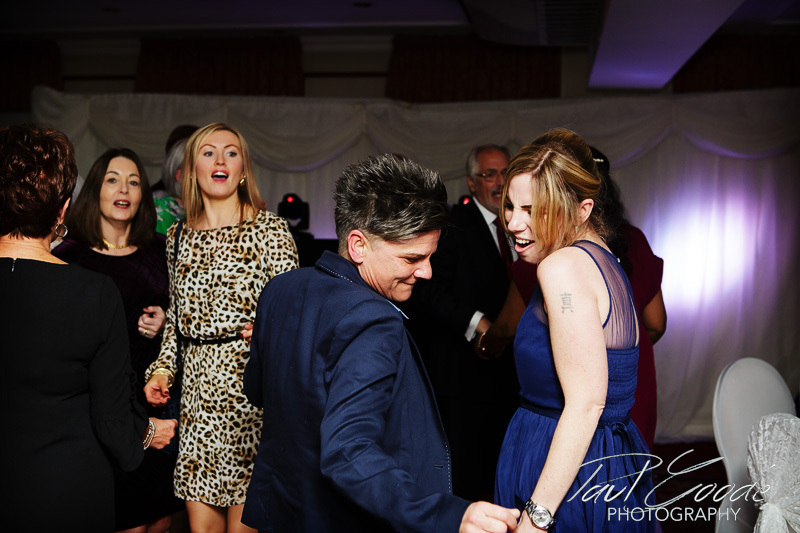 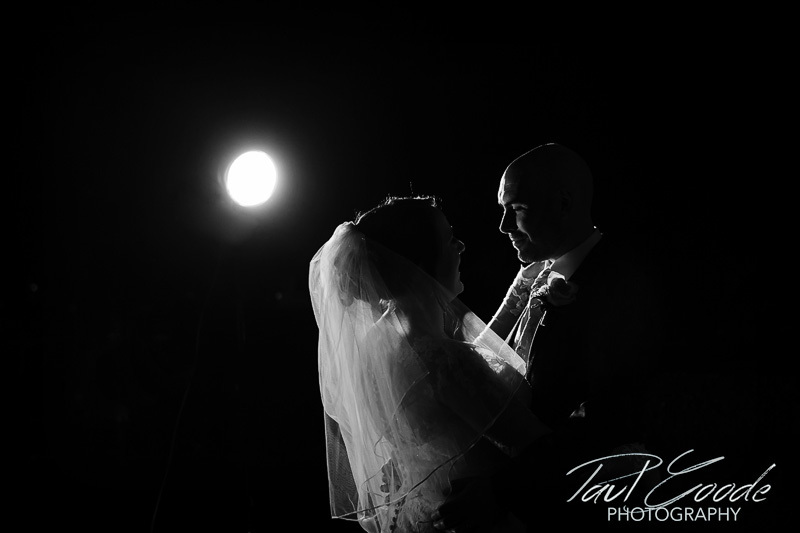 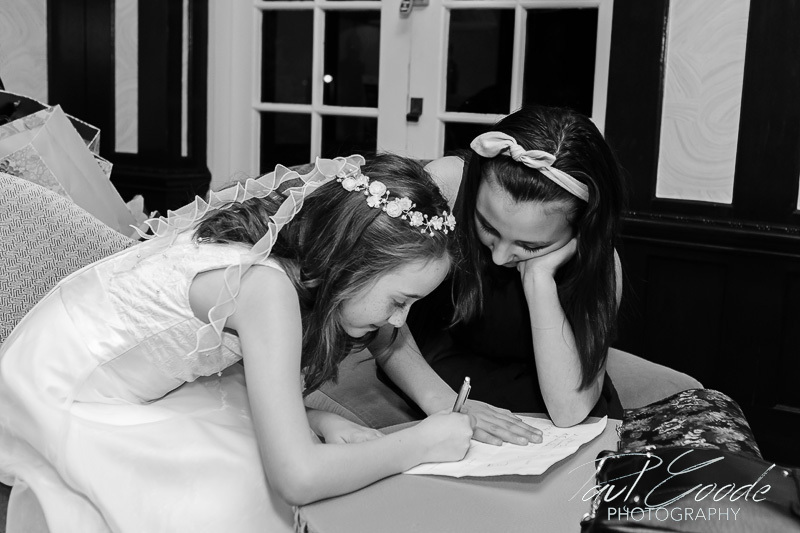 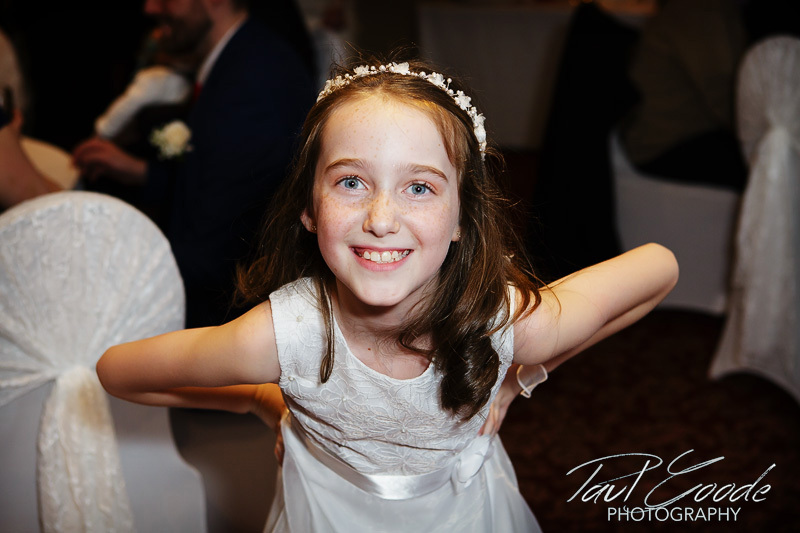 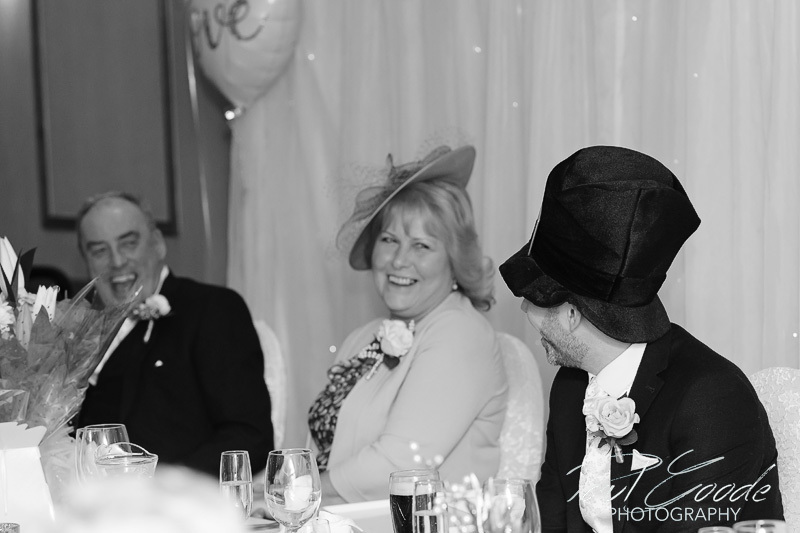 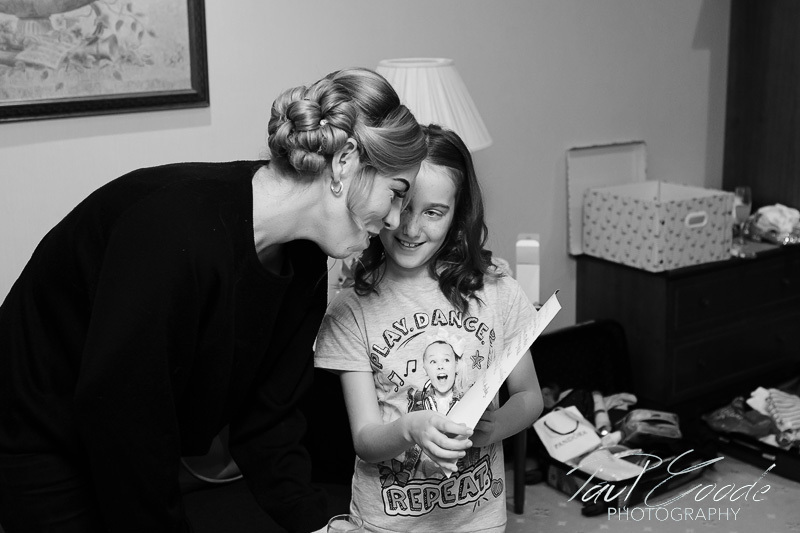 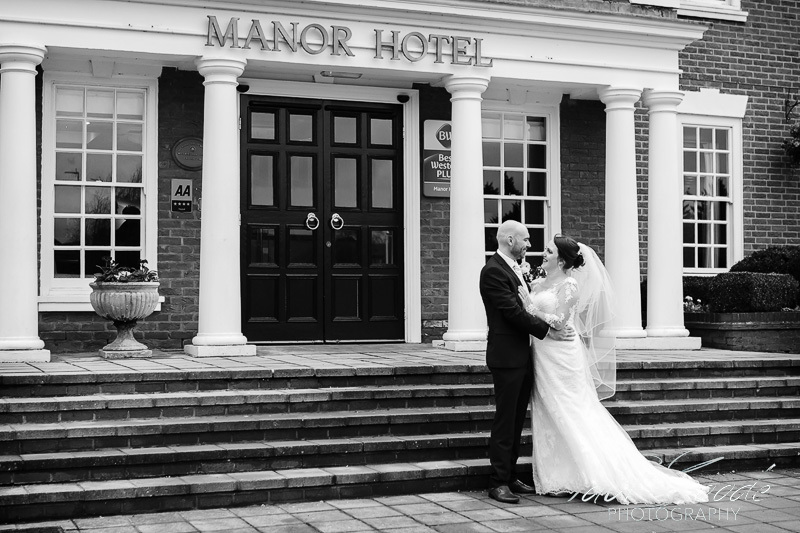 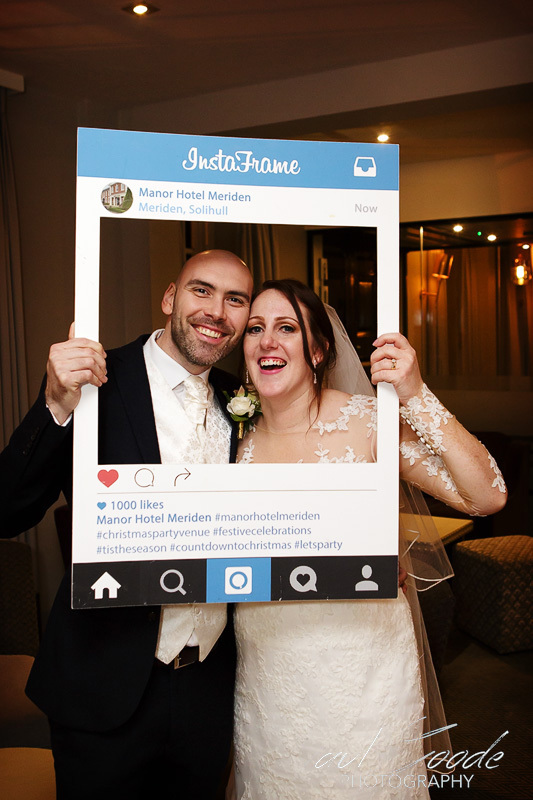 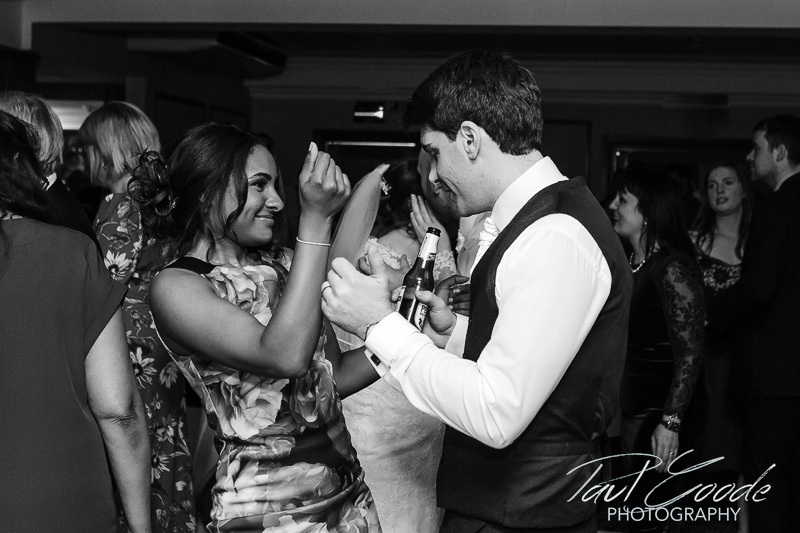 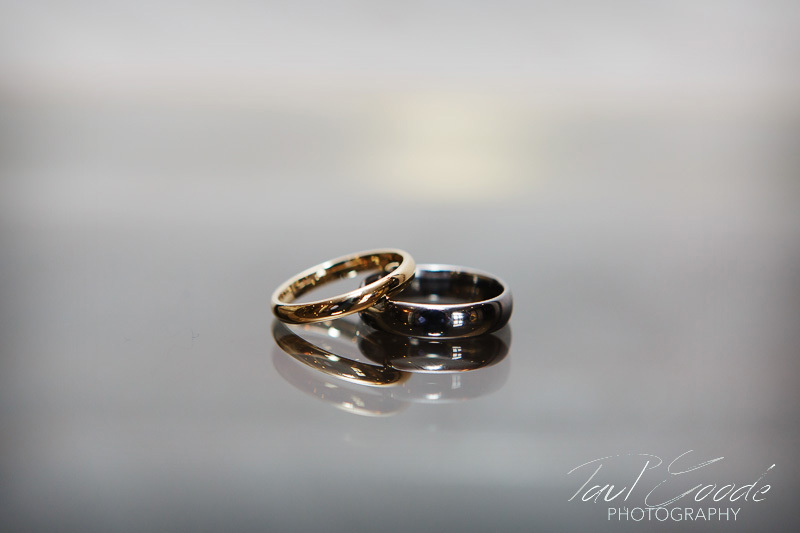 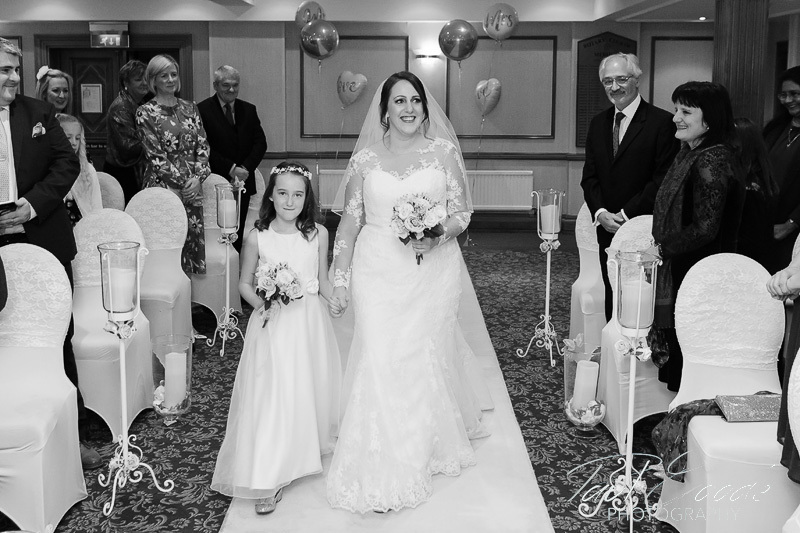 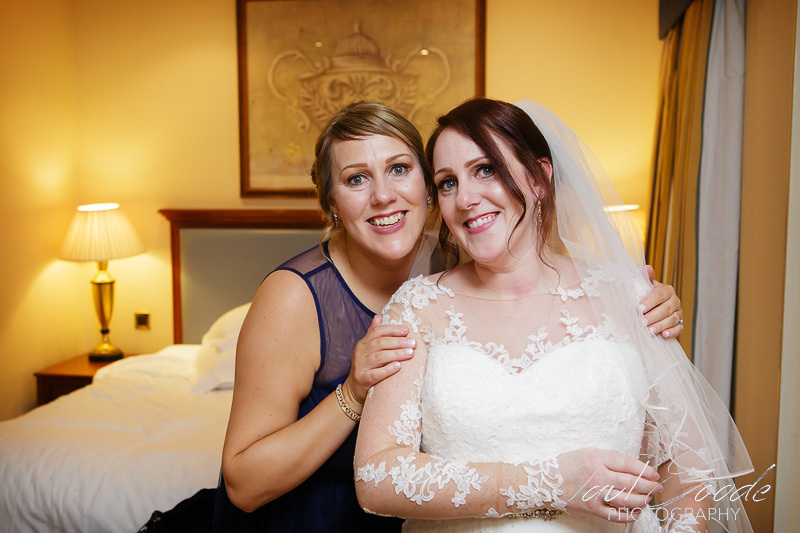 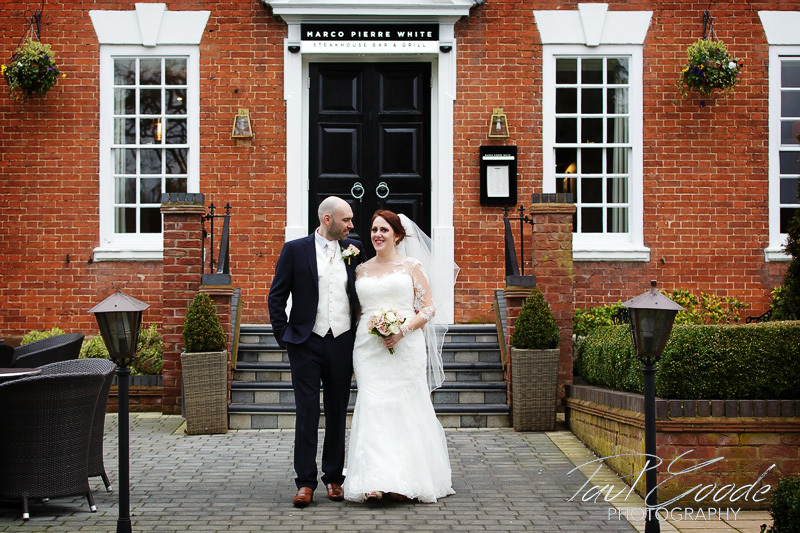 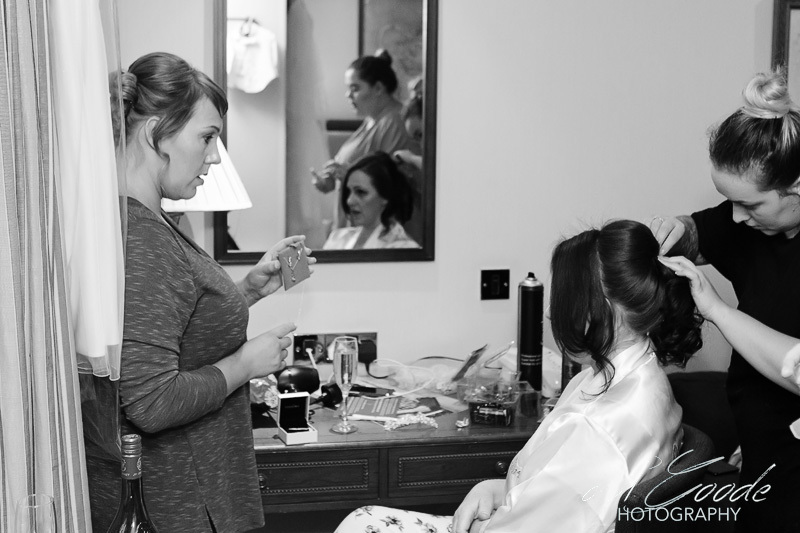 I always enjoy being a wedding photographer at The Manor Meriden Hotel. 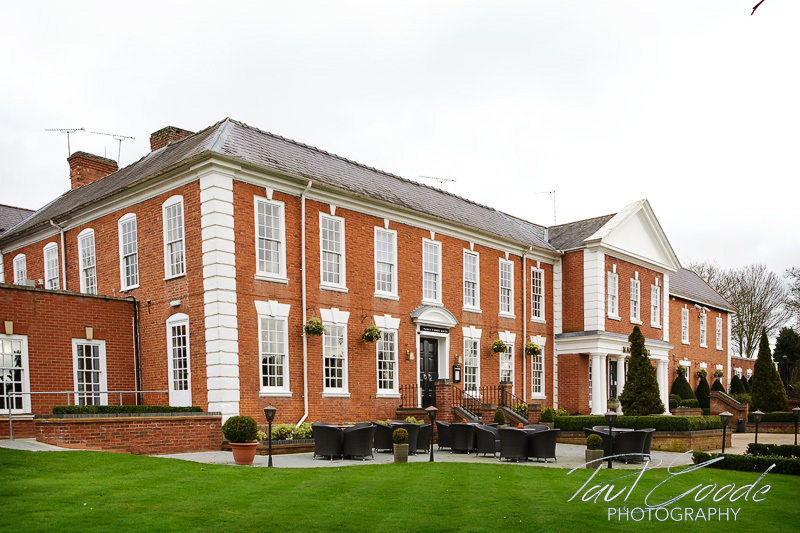 This is a 4 Star Best Western Plus hotel with an elegant Georgian facade, ideally situated in the pretty village of Meriden surrounded by beautiful Warwickshire countryside. 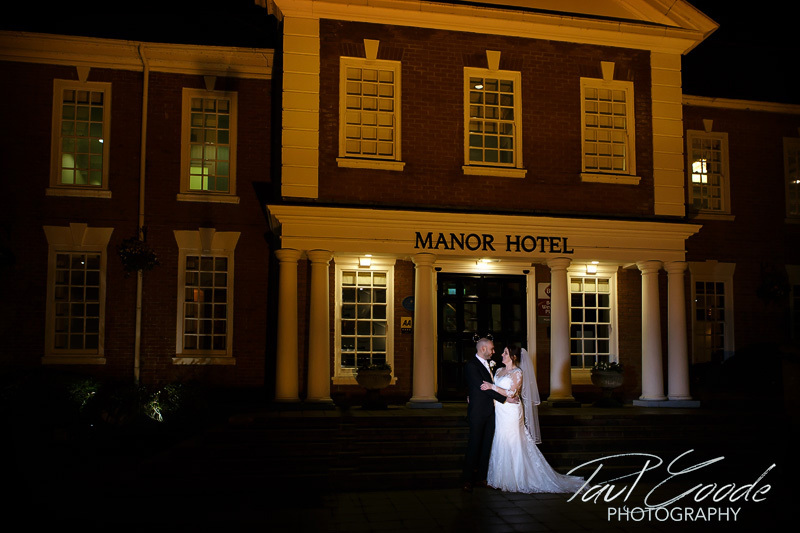 It really is a superb venue and today I was heading over to meet up with Tricia and Andy for their big day! 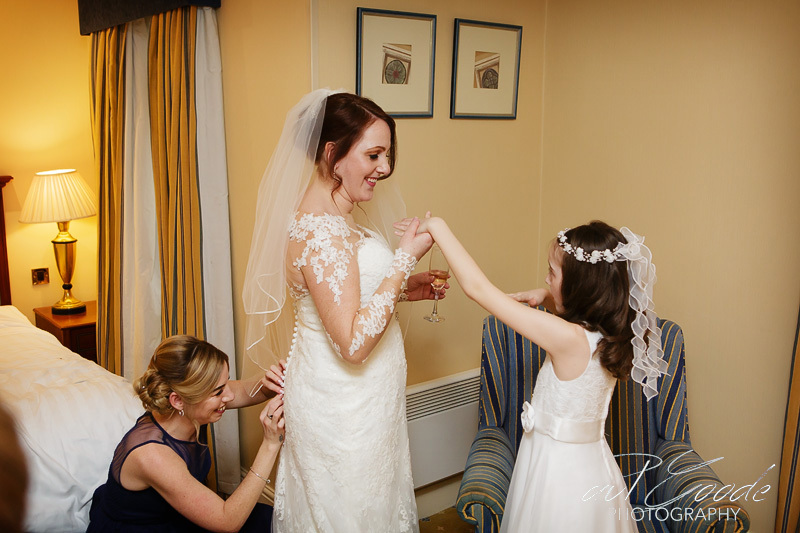 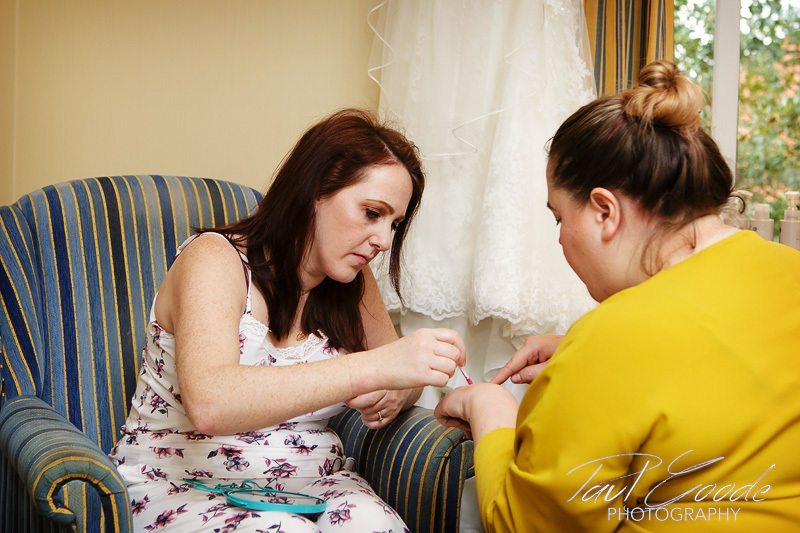 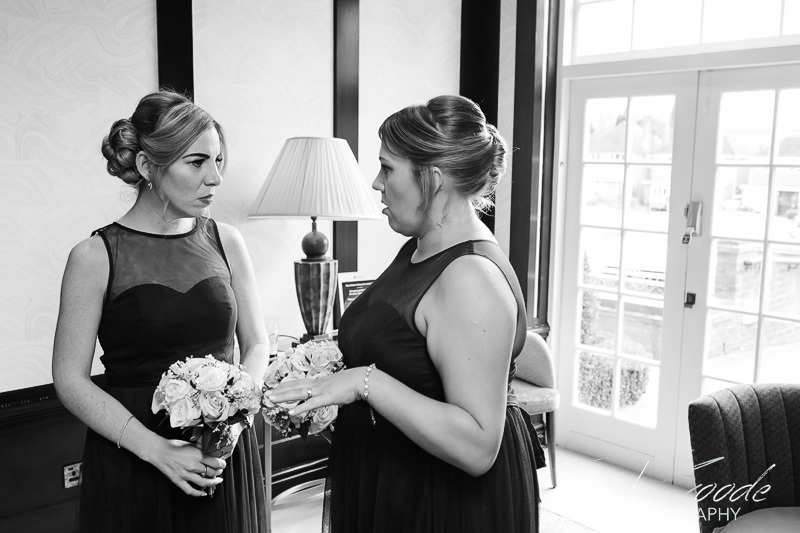 I arrived at The Manor to catch up firstly with Tricia enjoying her bridal prep with daughter Alexa and her two bridesmaids. 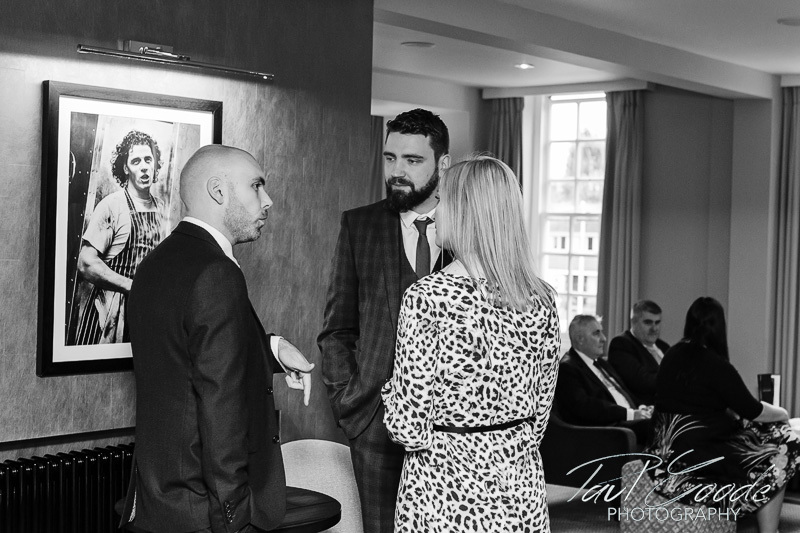 I later found Andy with the guests relaxing in the bar of the newly opened Marco Pierre White Steakhouse Bar and Grill, located at the hotel. 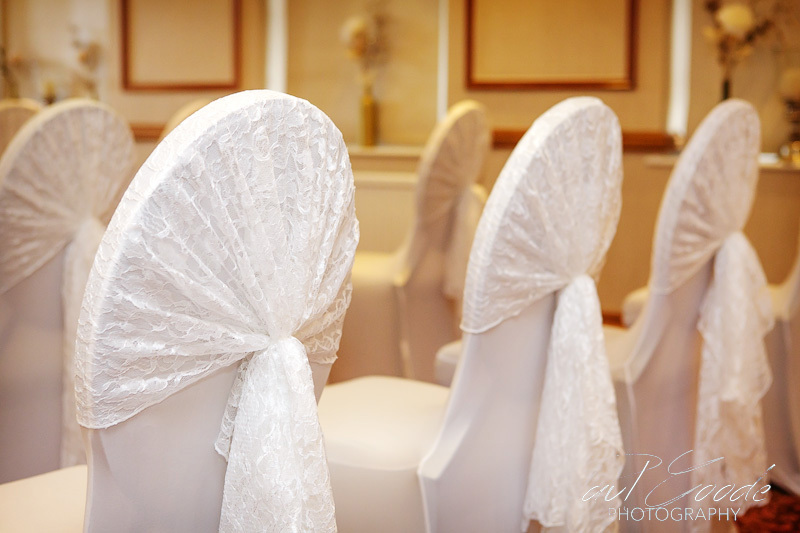 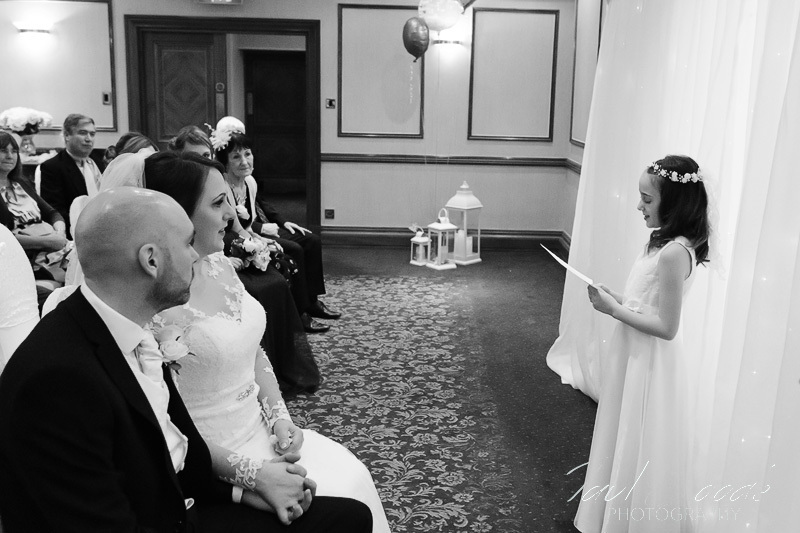 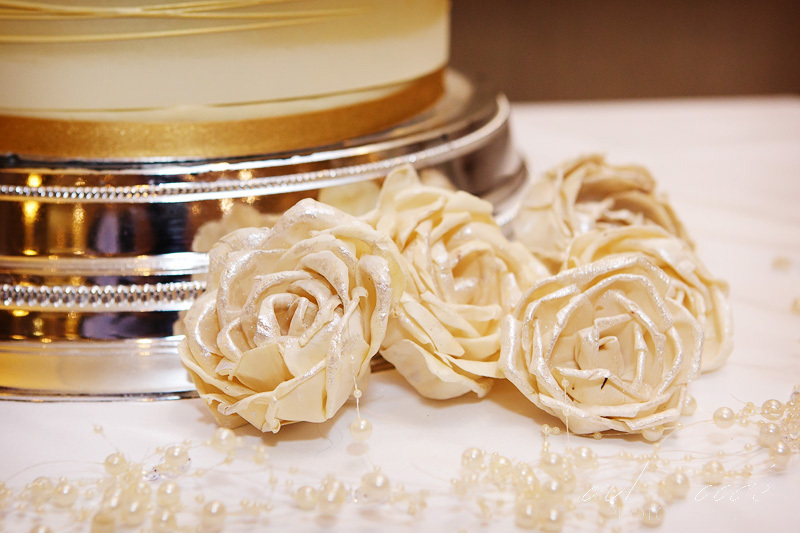 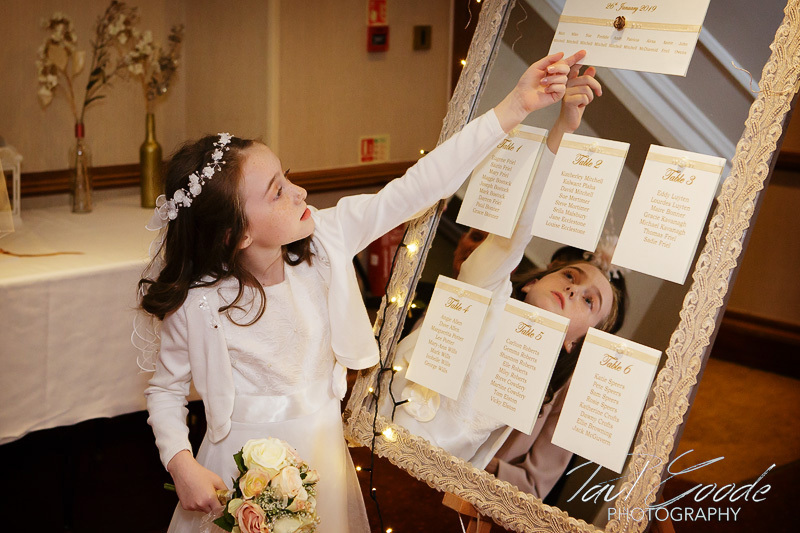 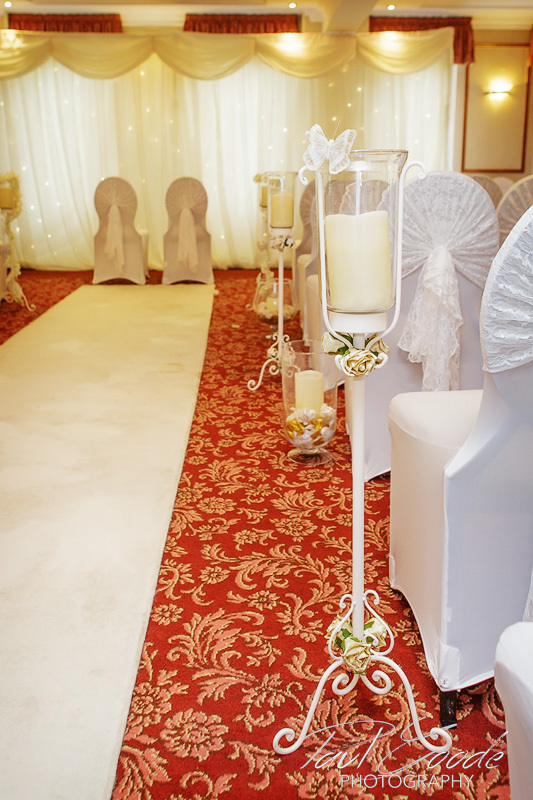 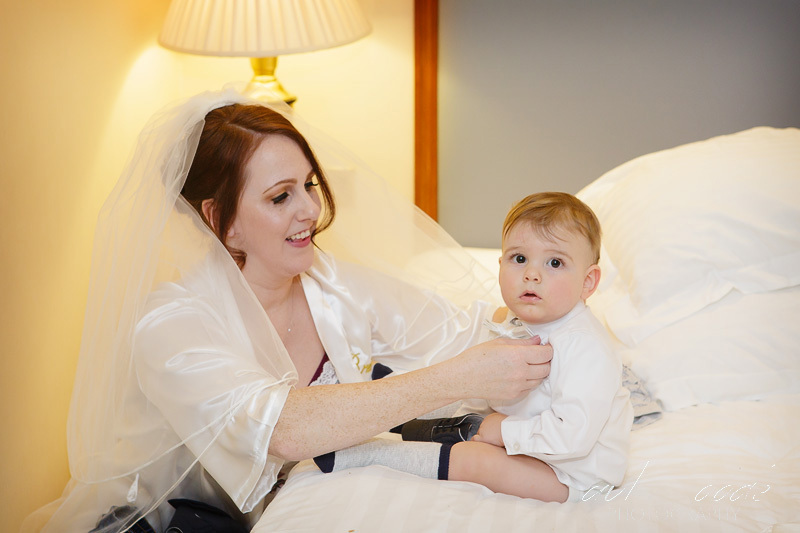 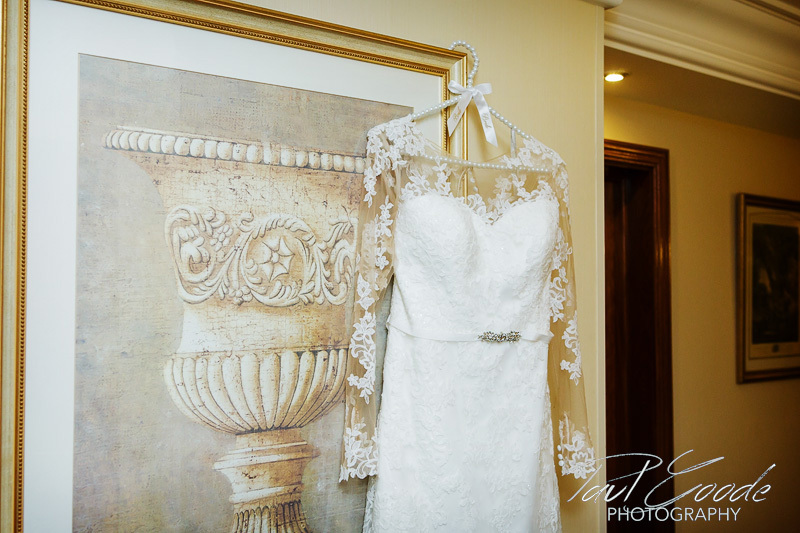 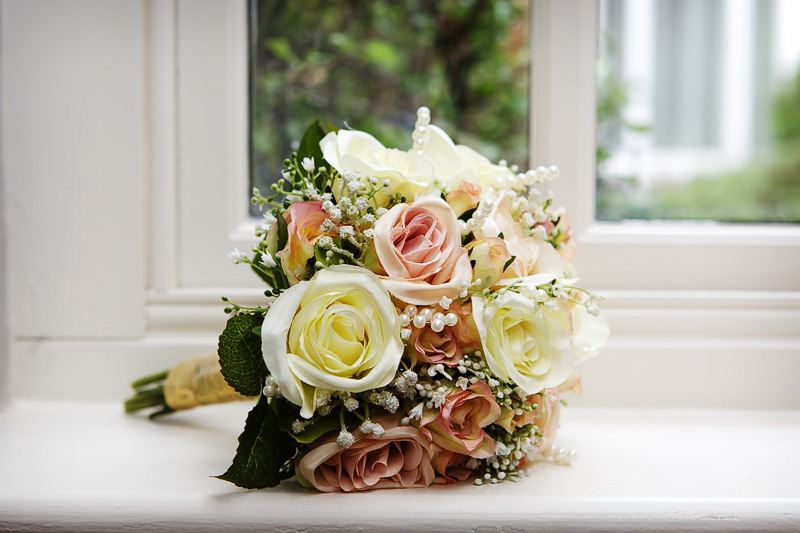 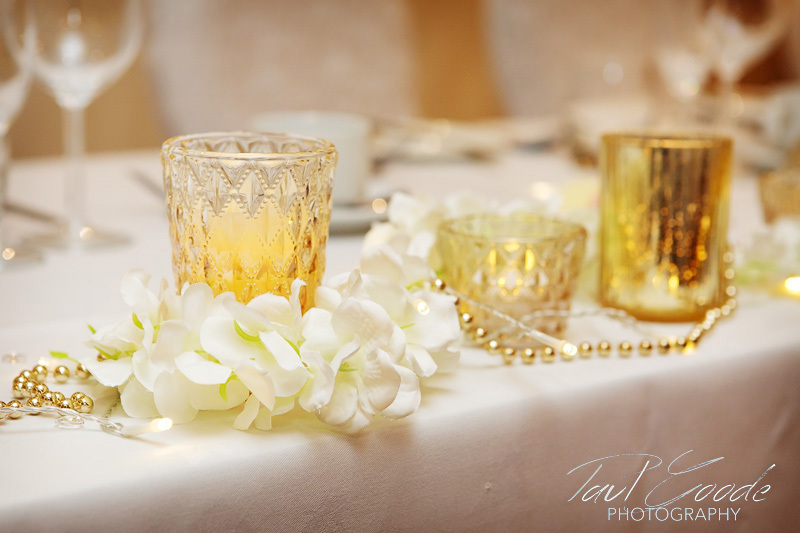 The setting for the ceremony was The Cedar Suite which had been decorated beautifully. 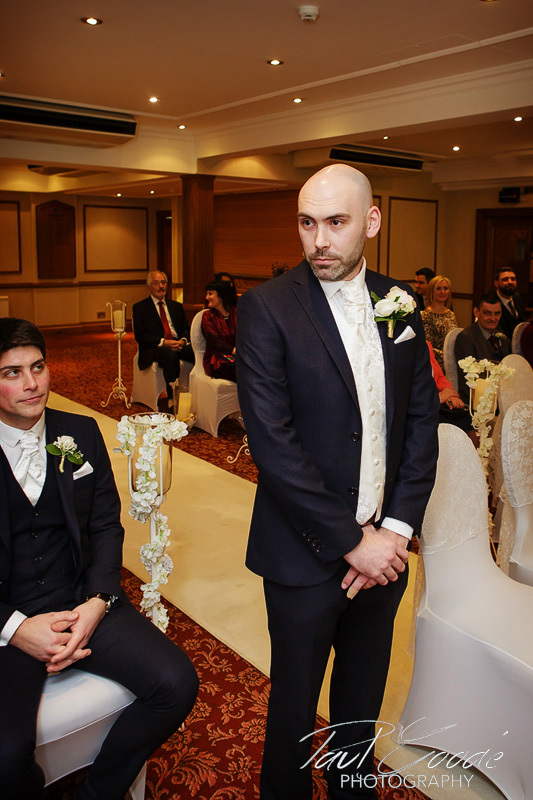 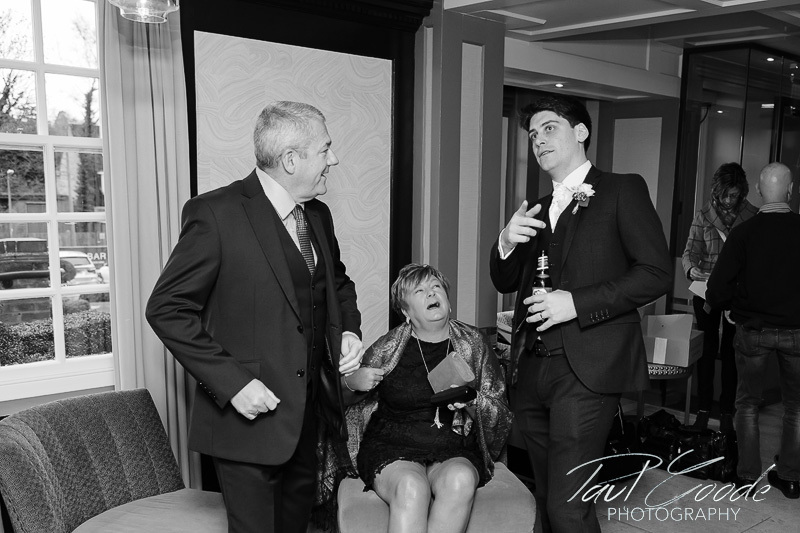 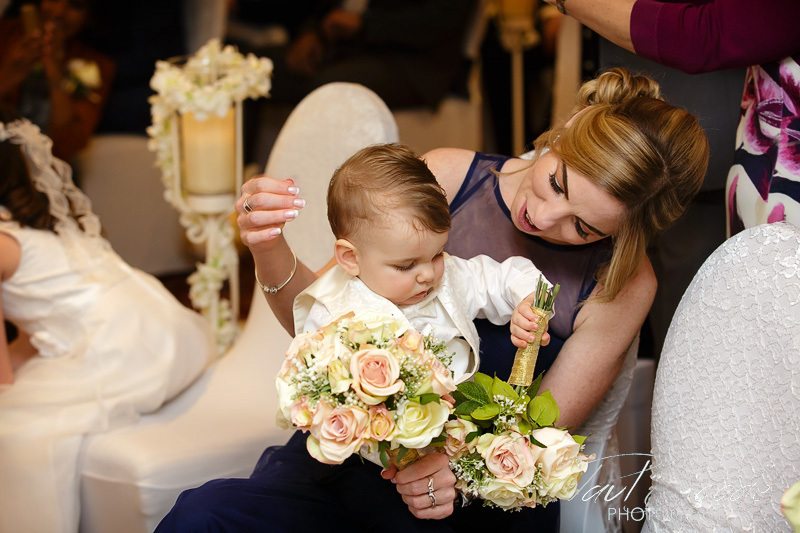 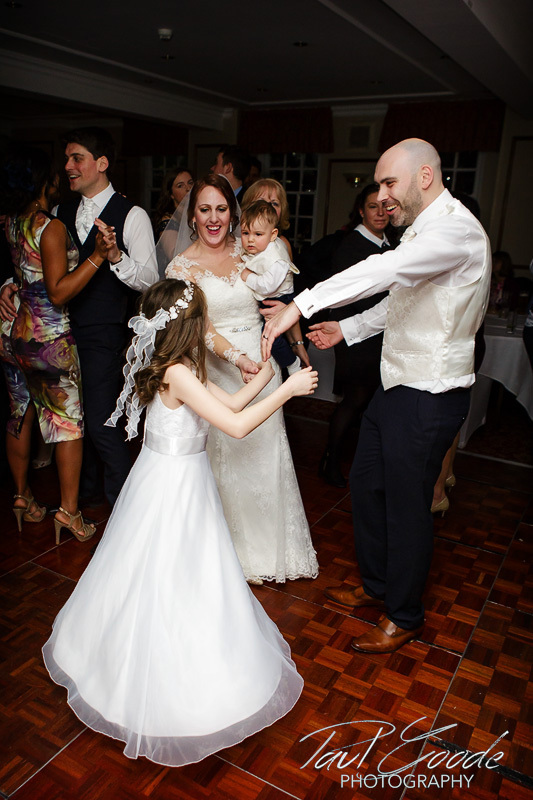 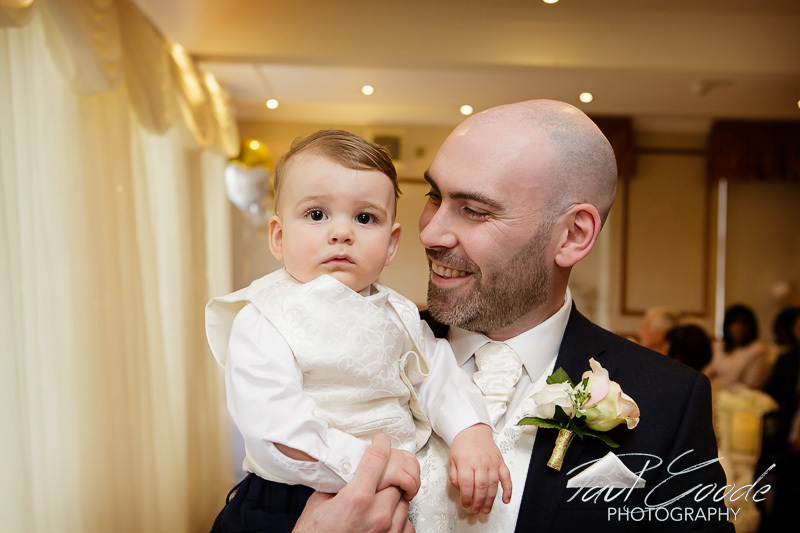 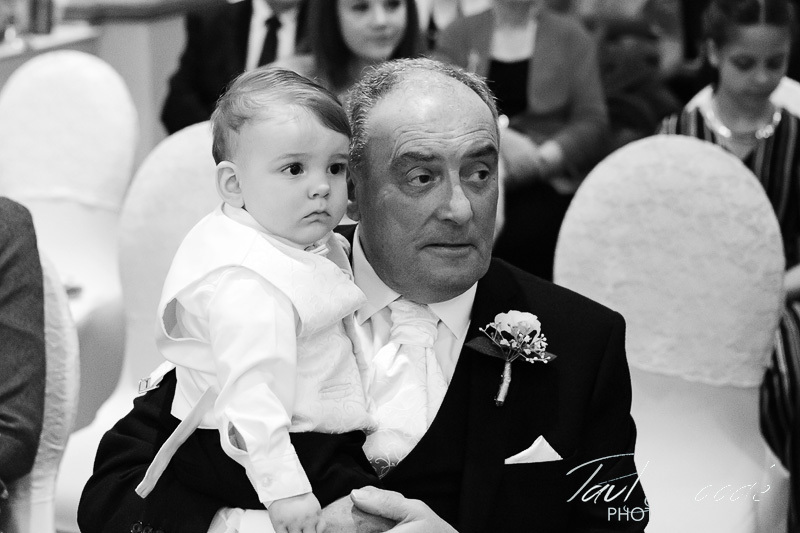 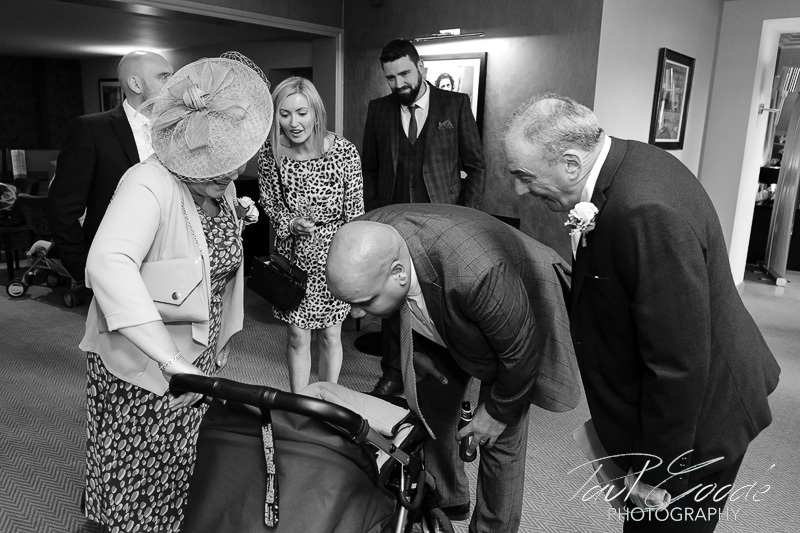 Andy and his little Son Freddie, together with the guests waited eagerly for Tricia’s entrance into the Suite. 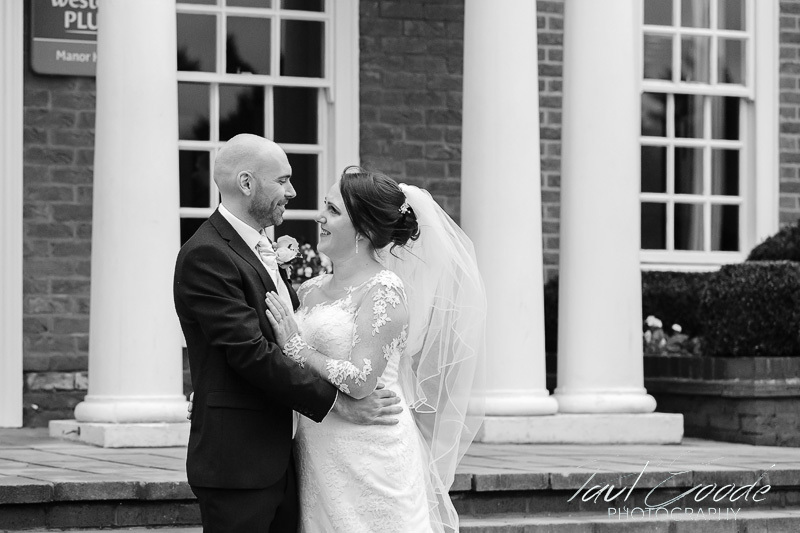 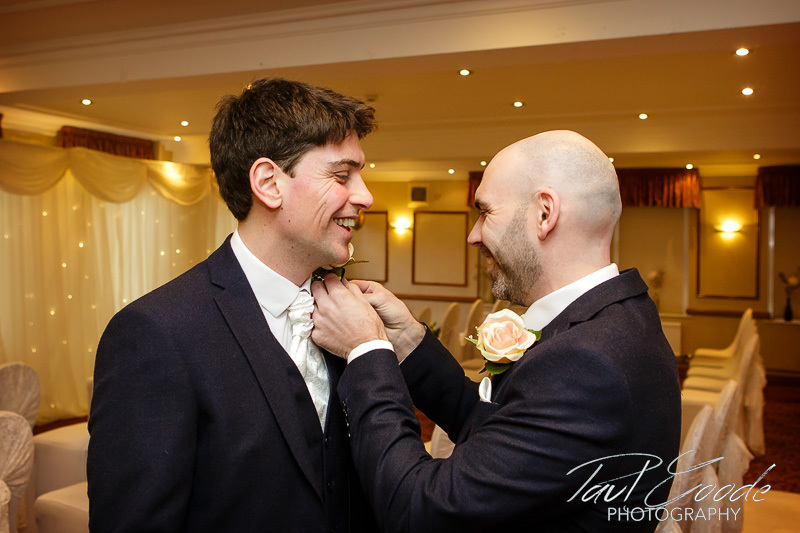 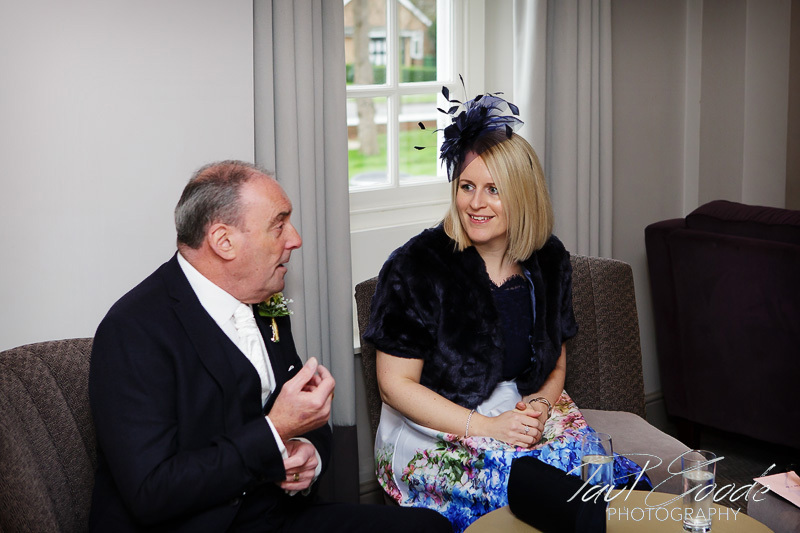 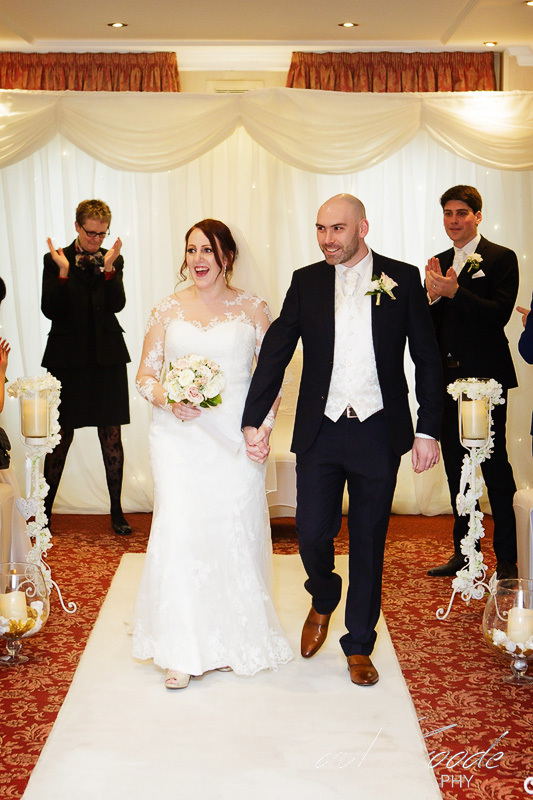 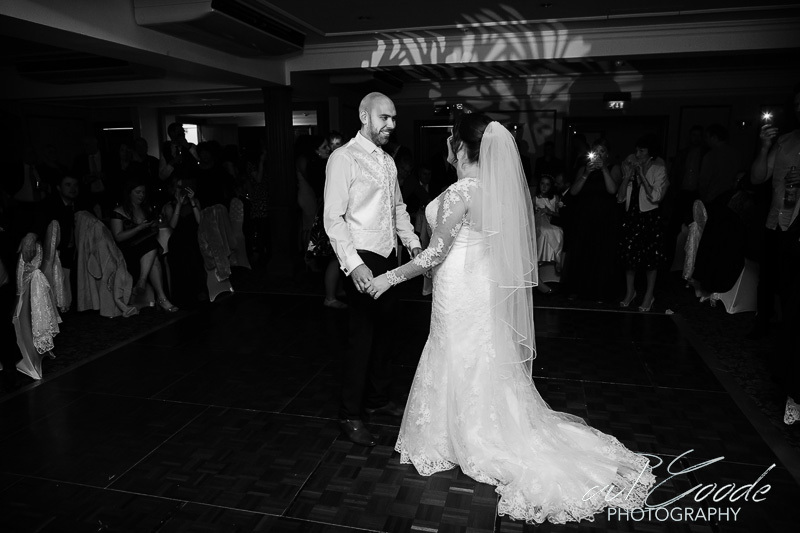 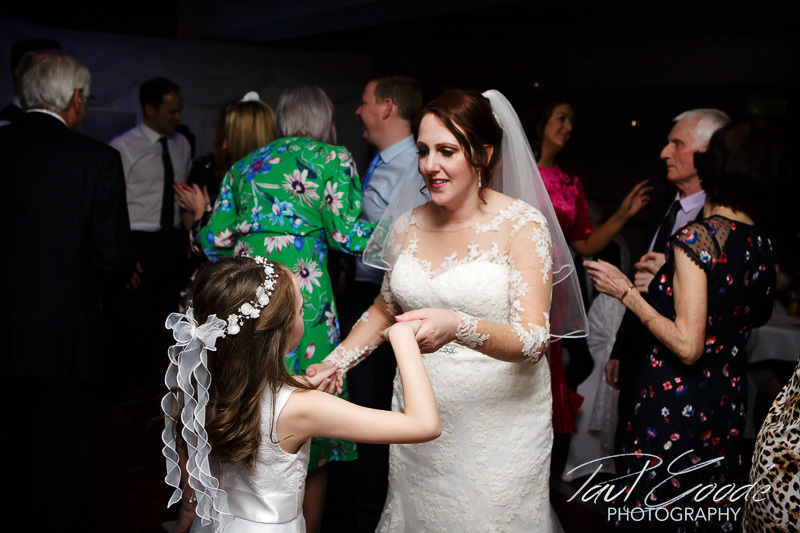 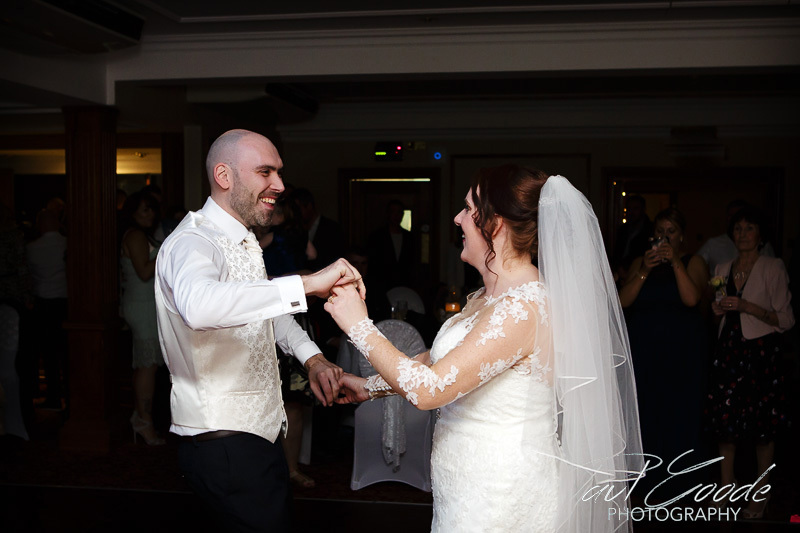 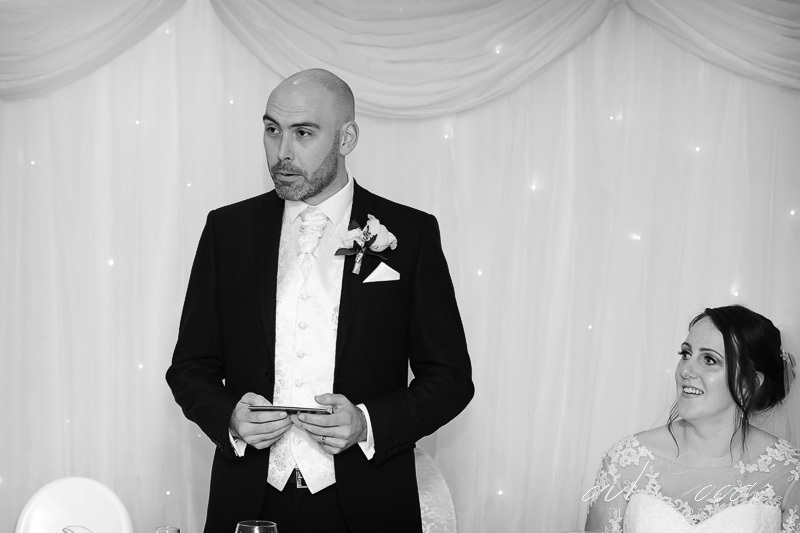 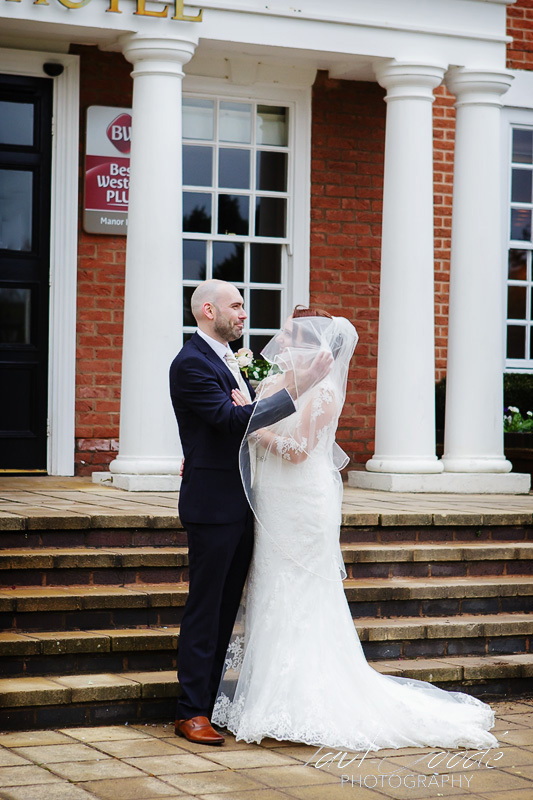 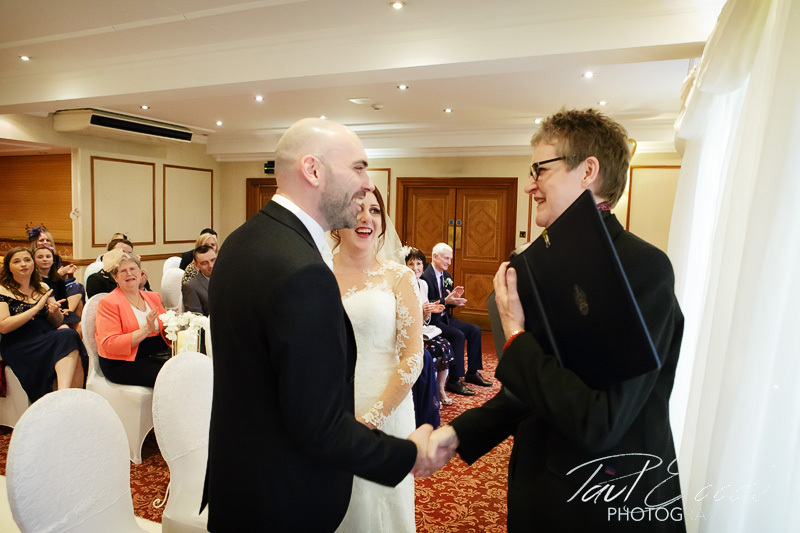 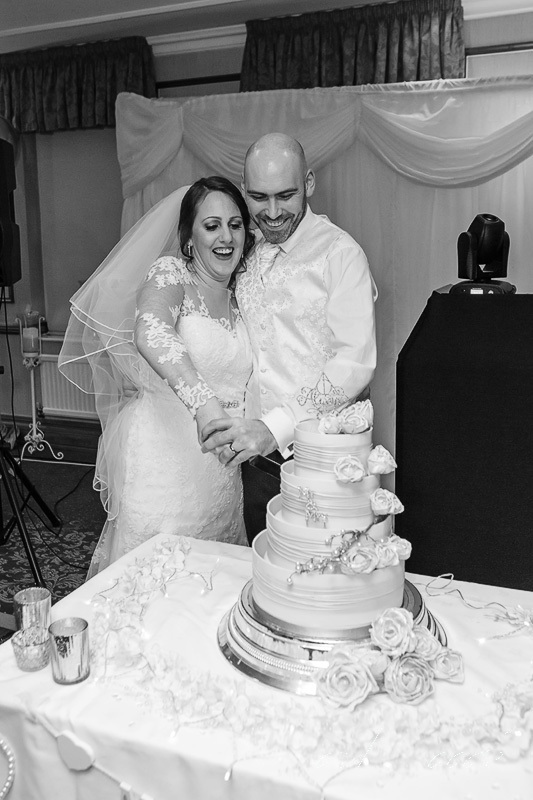 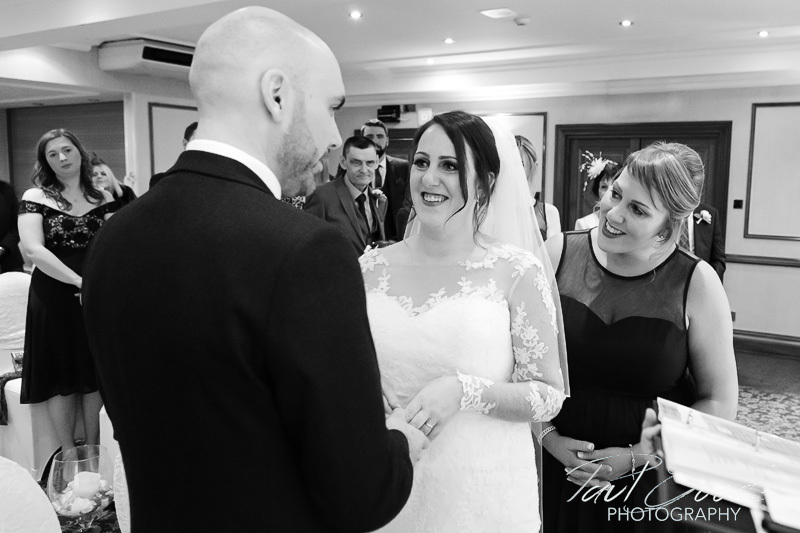 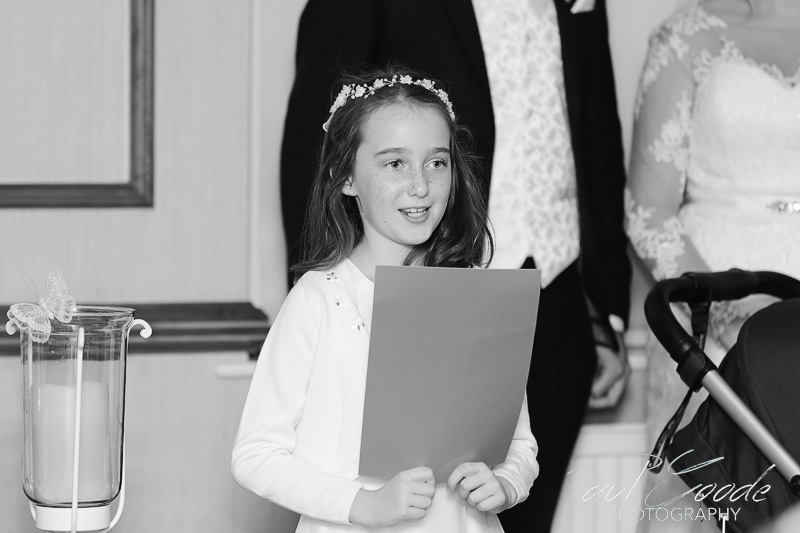 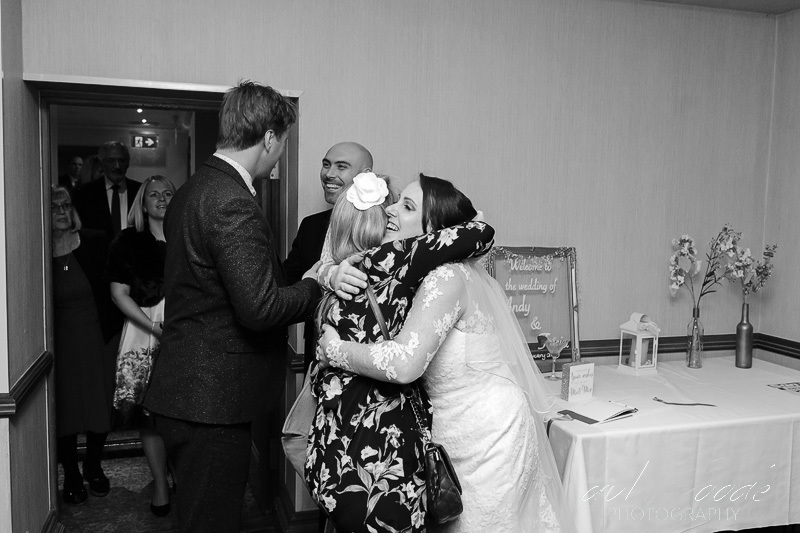 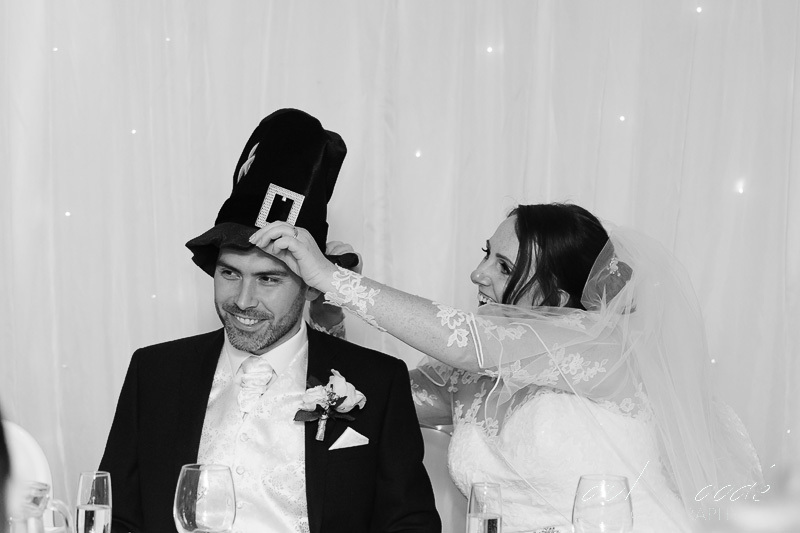 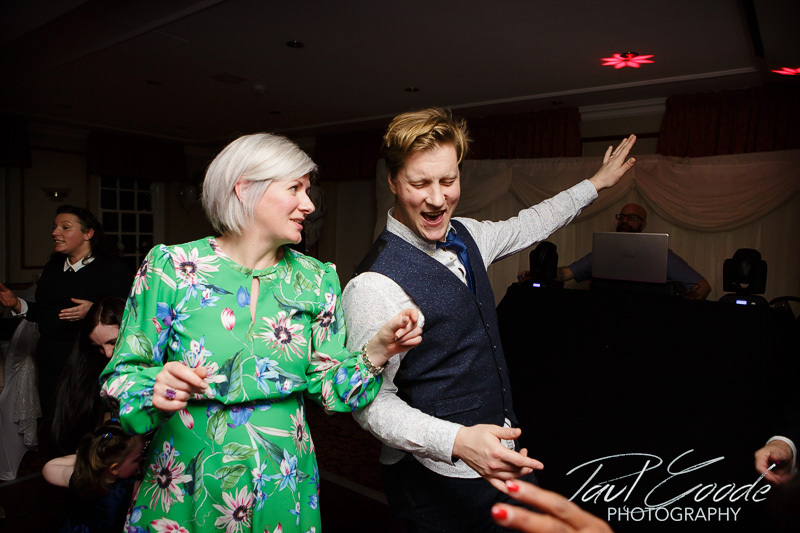 The Solihull Registrar conducted the ceremony which was thoroughly enjoyed by Tricia, Andy and all their guests. 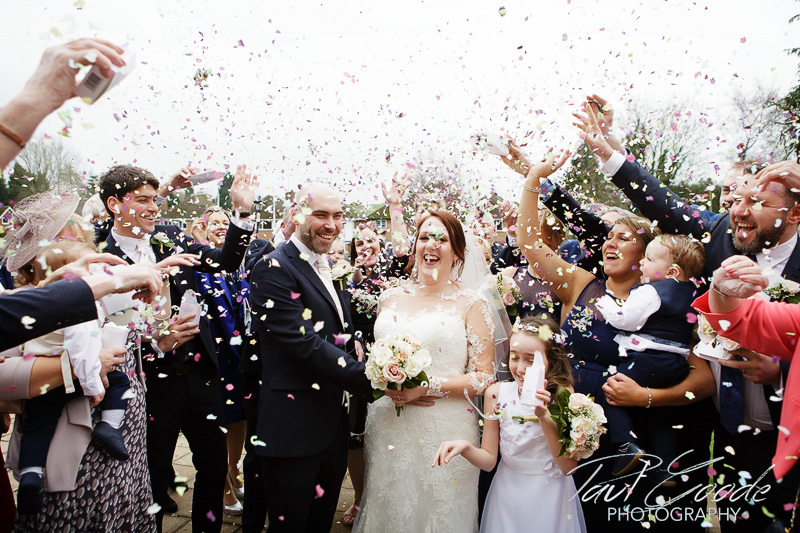 It was certainly another very chilly winter’s day but everyone popped outside for a group shot and confetti throwing. 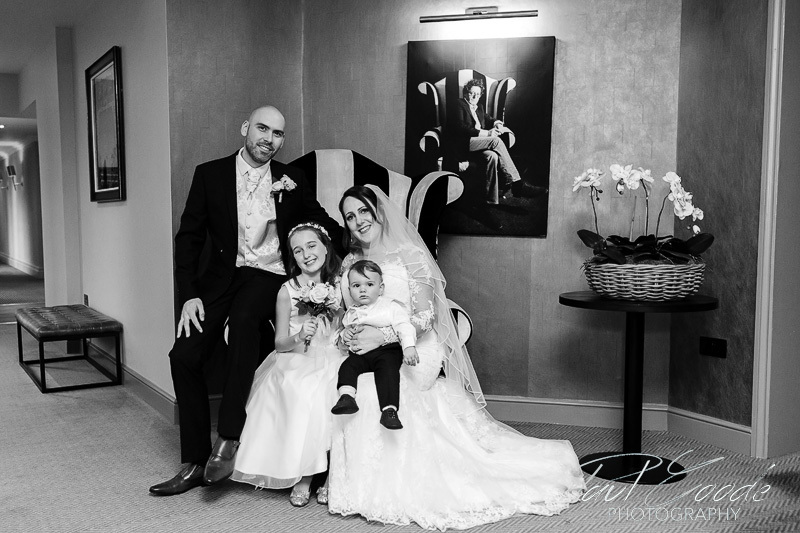 As the guests headed back into the warmth I then captured some photos of Tricia and Andy with their children before they too went back indoors, leaving Tricia and Andy to brave the weather for their portrait shots. 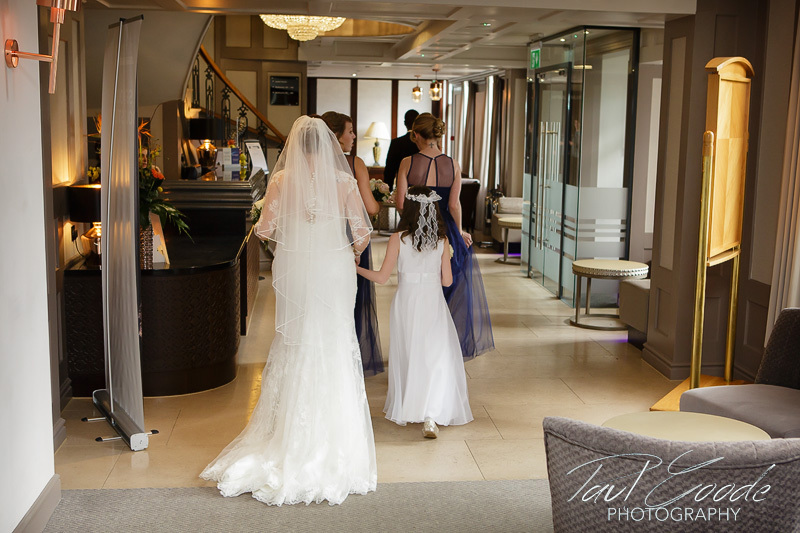 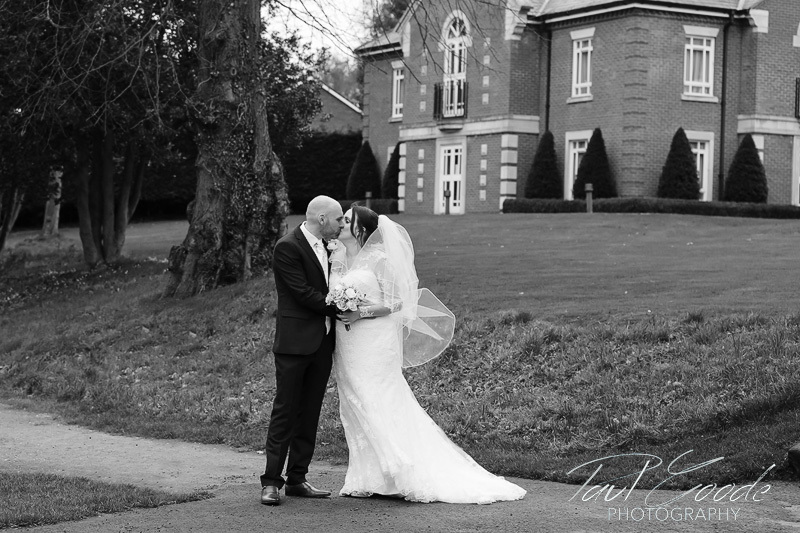 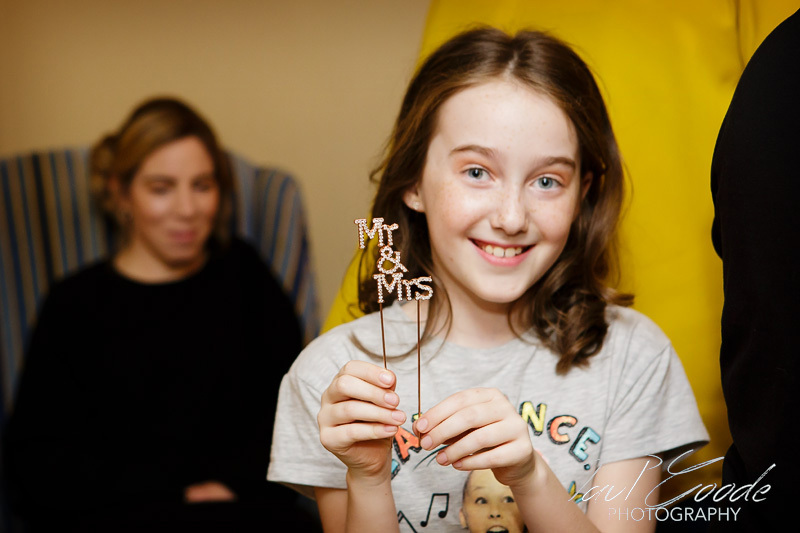 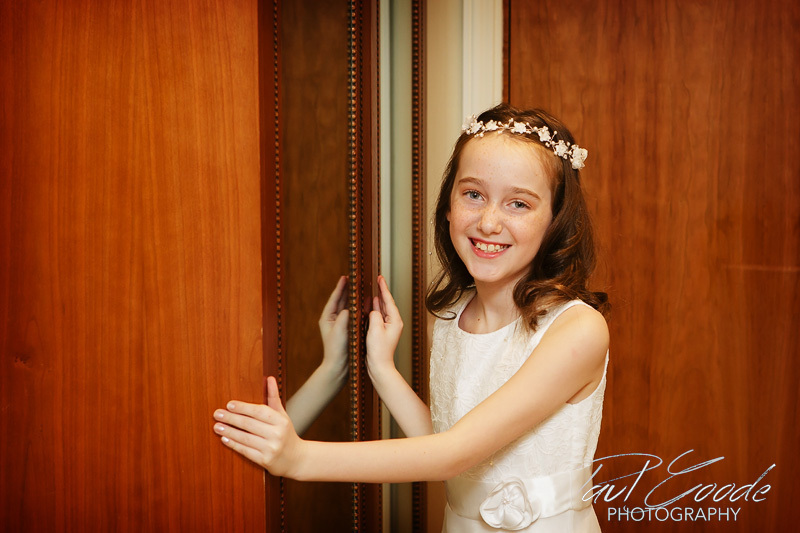 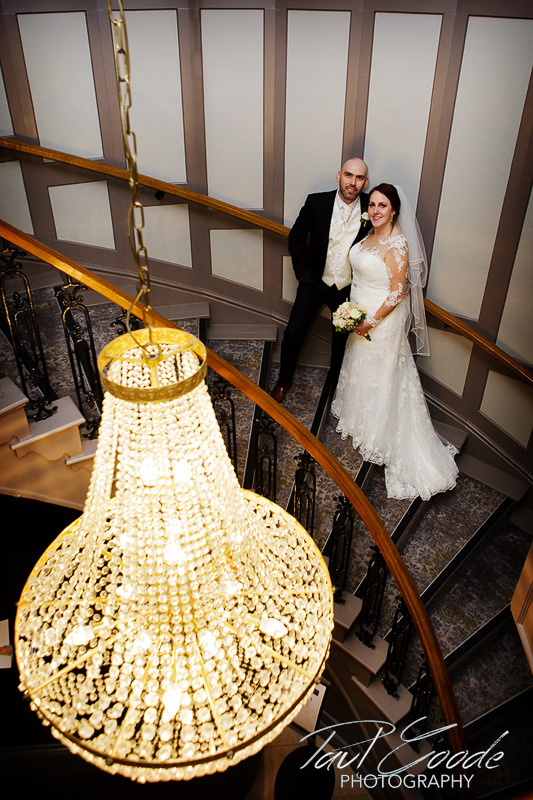 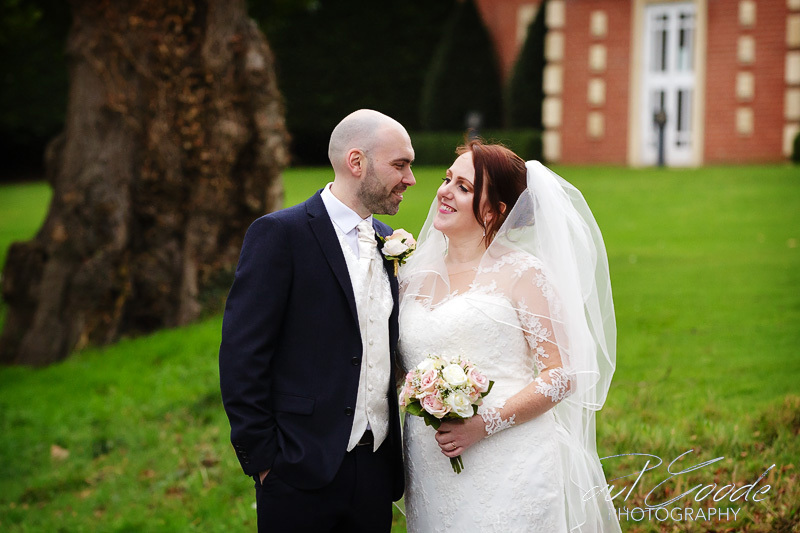 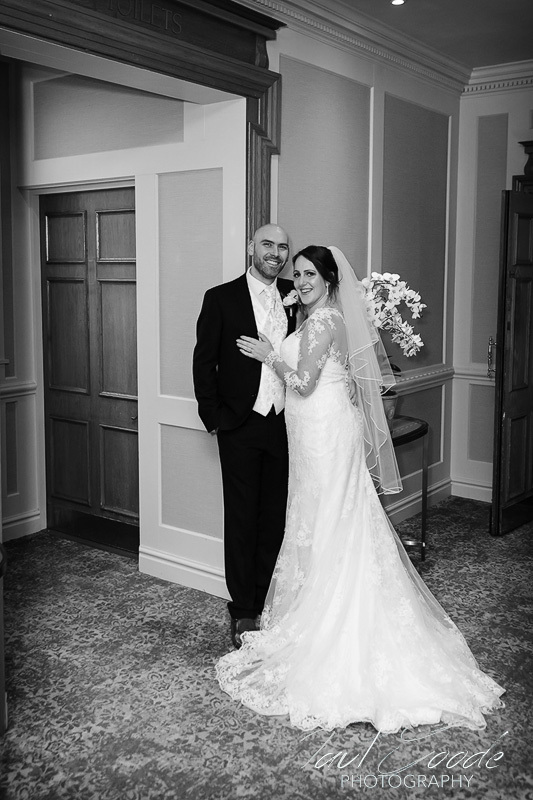 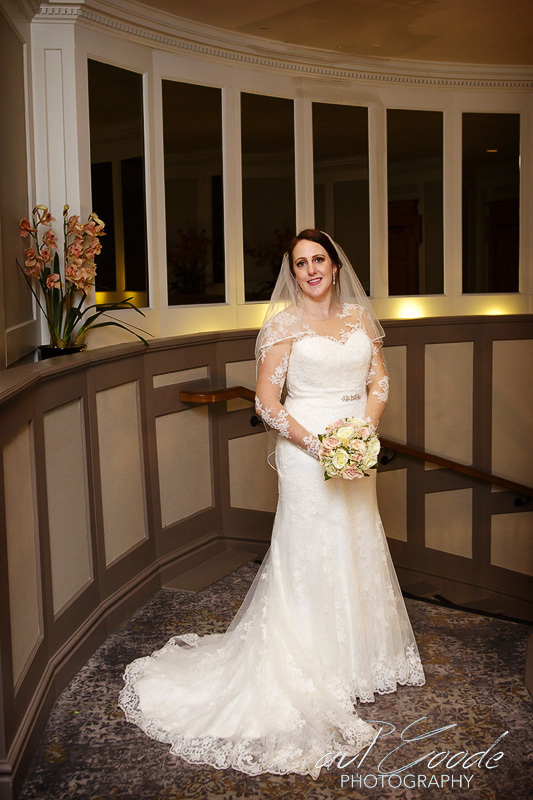 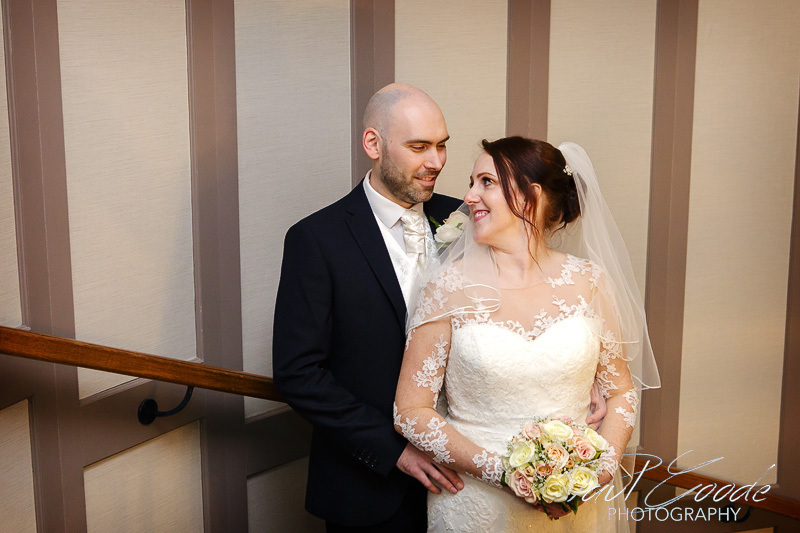 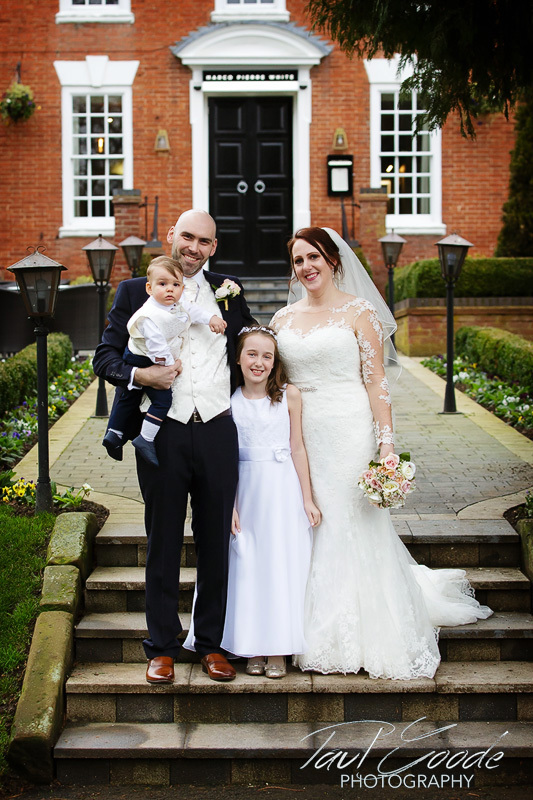 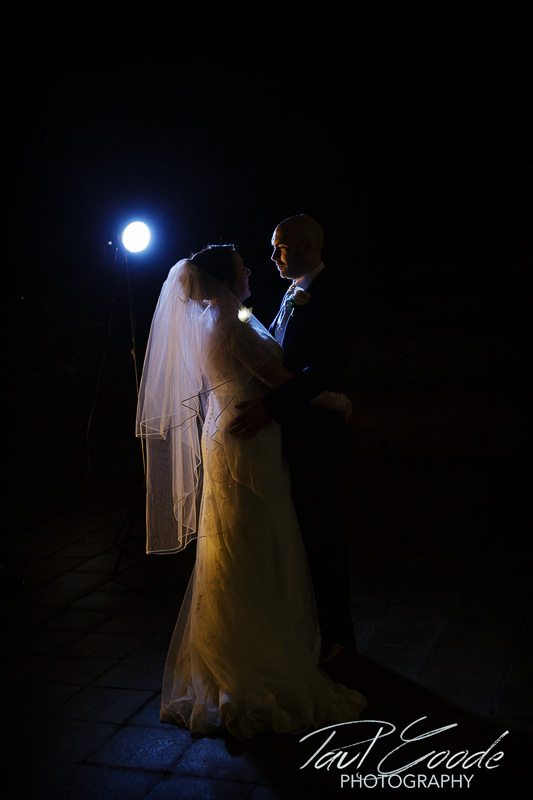 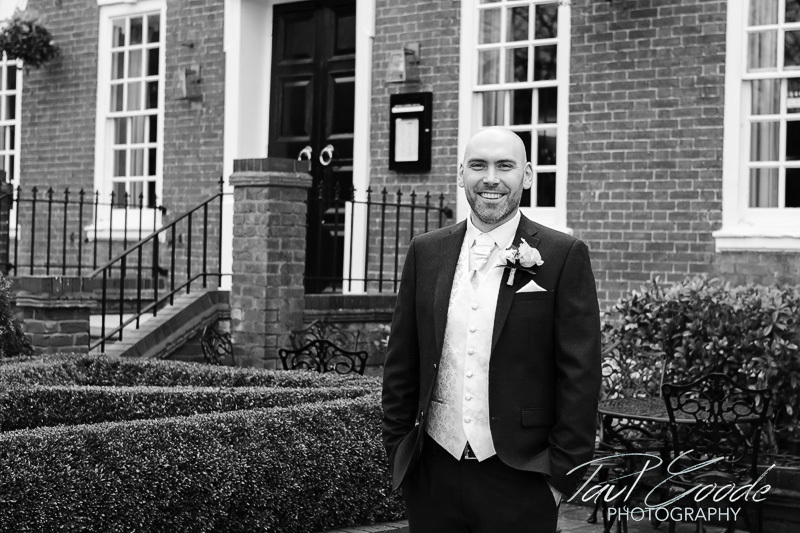 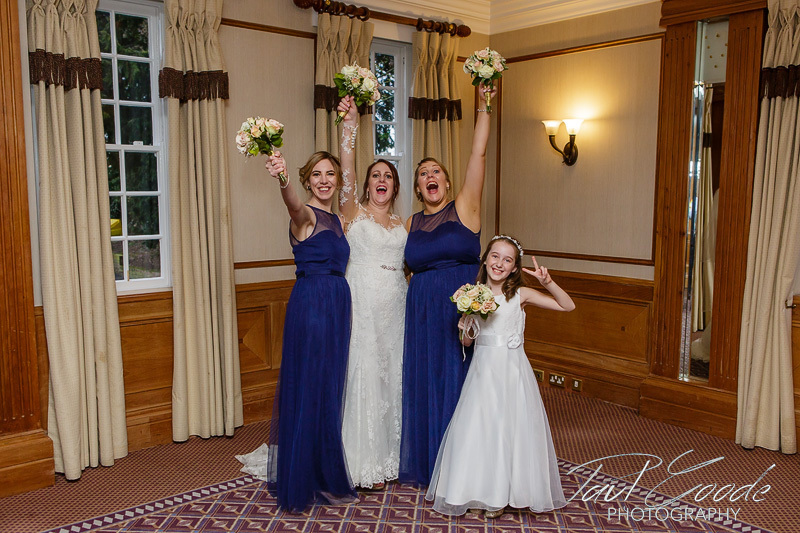 There was time for Tricia and Andy to have a few more photos with the family and some portraits shots with the Manor’s feature staircase and chandelier before joining up with their guests. 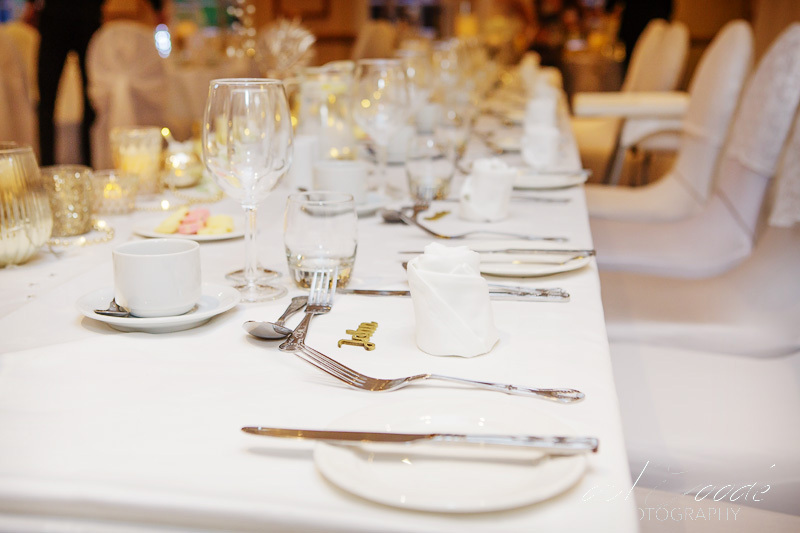 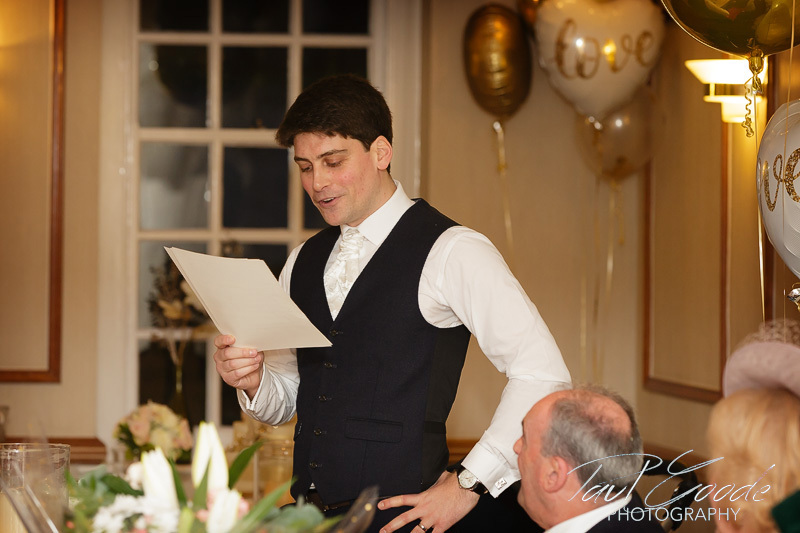 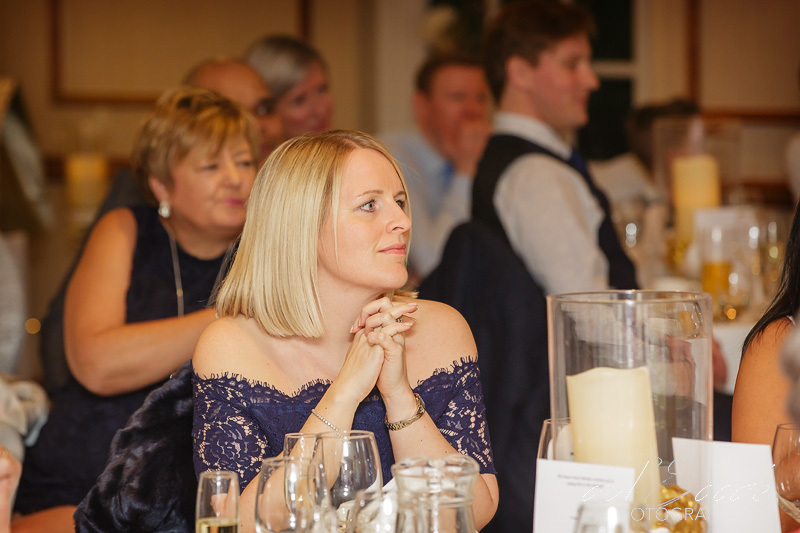 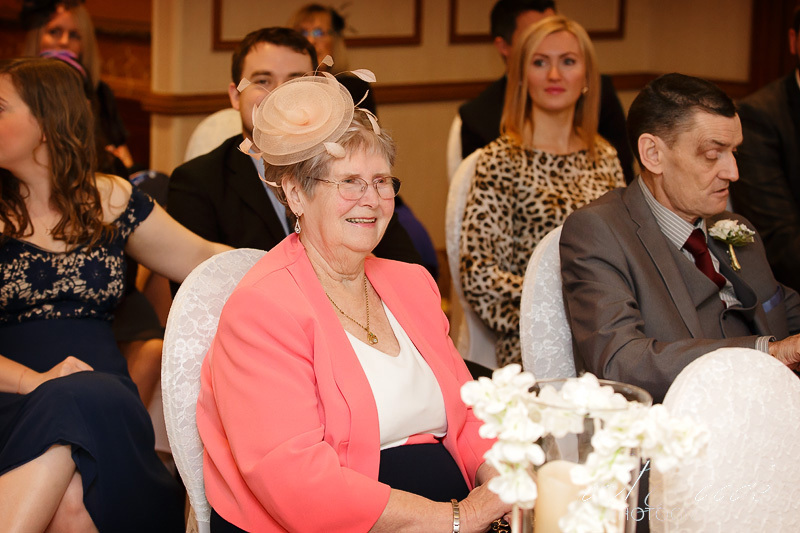 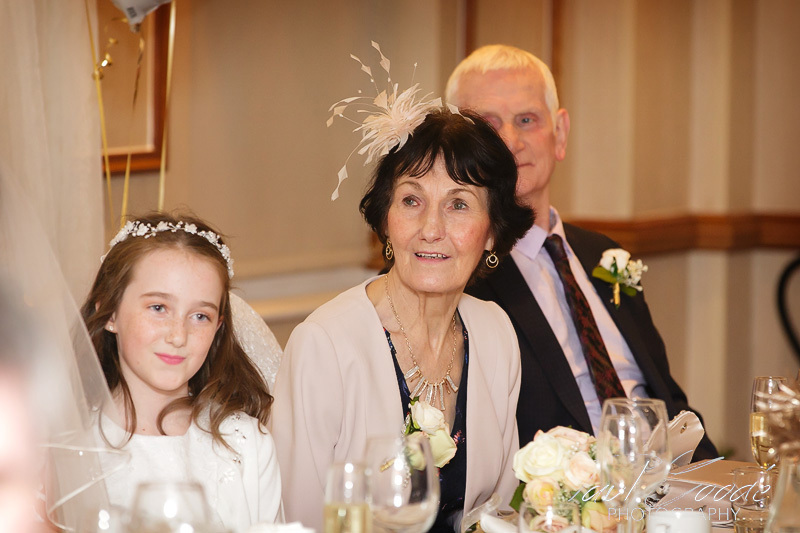 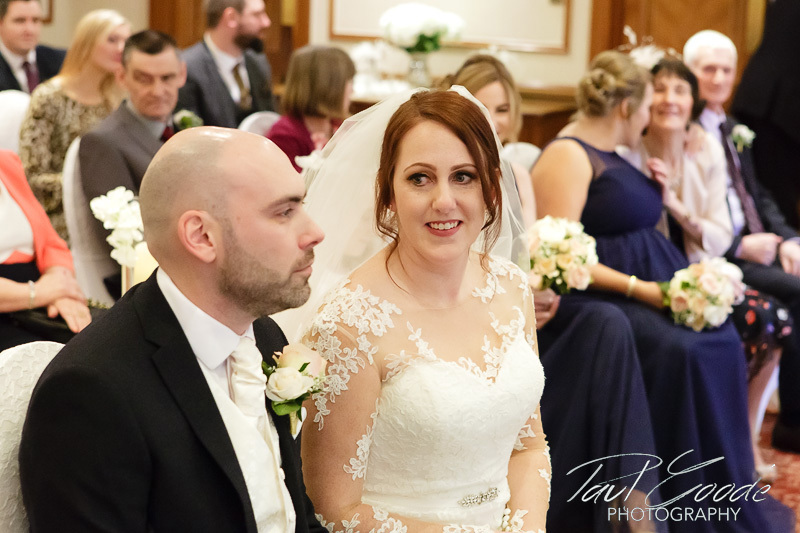 Everyone had taken their seats back in The Cedar Suite for the wedding breakfast and speeches followed by the rest of the evenings celebrations.